** Fords New 5YR/Unlimited Kms Warranty included ** All Newfrom the ground up. The Focus is one of the best value Small Cars on the market with a super economical 1.5L 3cyl Turbo engine with 134Kw and 240Nm Torque running at a combined 6.7L/100Km. Equally at home zipping around the city or stretching its legs on the open roads. Comes with a lot of Standard features that others call options including AEB for low and high speed accident avoidance, Sign post recognition that adjusts your speed to match and optional Adaptive Cruise Control with Lane Centring. 8 inch Capacitive Touch Screen with built in GPS that has WIFI Updates. Apple Car Play, Android Auto, CD, AM/FM DAB+, USB and CD player for all of your entertainment needs. Bluetooth for all your calls and text on the go taking the phone out of your hands, all of this with voice commands. Reverse Camera and Sensors plus all the usual suspects, 6 Airbags, 5 Star ANCAP, ABS, EBD, and Electronic Steering. This is all on top of Fords Service Price Promise 15000km/1yr Service Schedule, Up to 7 Years of RACQ Roadside Assist, Free Service Loan Car. Located only 5 minutes from Chermside Shopping Centre. If this sounds like the right fit for you come on in for our fantastic Prices, Great Trade Ins and outstanding Service and Competitive Finance Packages. 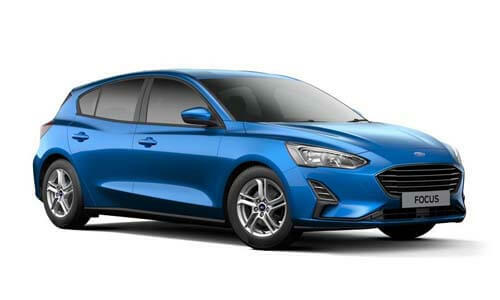 I'm interested in a New 2018 Ford Focus Trend Hatch (stock #S483).